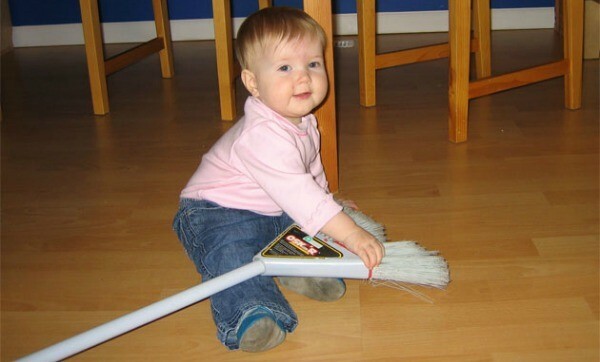 The dirtier the surroundings, the healthier your child? A new study from the National Institute of Health suggests this may be so. We’ve been warned about the importance of sterilizing everything, from dummies to bottles, but a new American study from the NIH suggests that not only is it okay to expose young children to dirt, grime and the great outdoors, but it actually helps reduce their risk of developing allergies and asthma. In fact, the more allergens and bacteria, including mouse (eew), cockroach (double eew) and cat dander, baby is exposed to during the first months, the less chance of having wheezing and allergic reactions as a toddler. Hold the phone. Does this mean we don’t have to clean anymore? The study, soon to be published in The Journal of Allergy and Clinical Immunology, examined children in four US cities. It found that kids with the highest exposure to allergens and bacteria during their first year may actually benefit from it. Researcher Robert Wood explains that timing is everything when it comes to babies and bacteria. “The immune system develops very rapidly in the first months of life so it makes sense that the timing of exposures early in life could be the most important,” Wood says. 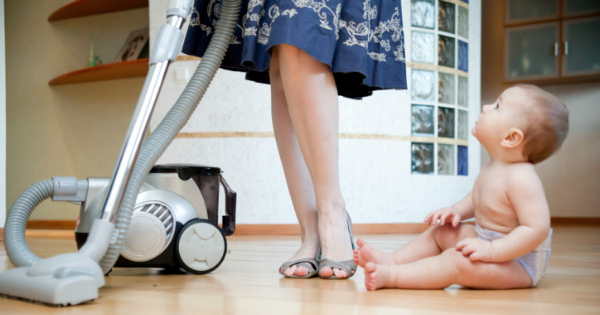 This doesn’t necessarily mean you should bin the vacuum cleaner permanently and abandon all sense of cleanliness around the house, but it does suggest that new parents can relax a little more and ease off on the housework, especially during the first year. So put down the duster, get back on the lounge and enjoy those newborn snuggles a bit longer. Housework can wait- the National Institute of Health says so.